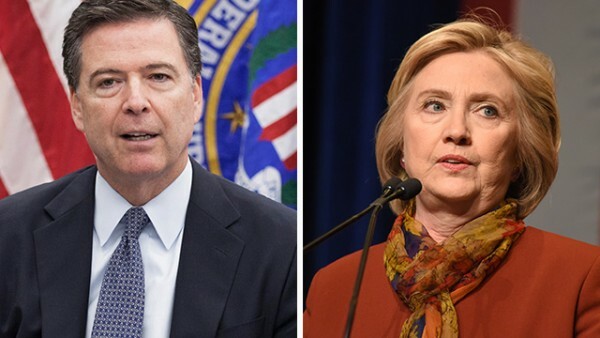 About a year ago, then-FBI Director James Comey stood at a podium in Washington, D.C., and gave a shocking, and very unusual, press conference. After providing details outlining all the times his agents found then-leading Democratic presidential contender Hillary Clinton committed gross negligence in her criminal mishandling of classified information, he then went on to state that since agents could not find any evidence that Clinton intended to break the law, “no reasonable prosecutor” would take her to court. Last month the fired FBI director told a Senate panel that he believed the memos to be his own personal documents, and that at least one of them had been shared with a friend for the express purpose of having it a) leaked to the media (it was); and b) to trigger the Justice Department to appoint a special counsel to investigate “Trump-Russia collusion” (it did — and the man named to head that investigation is none other than close Comey friend and former FBI Director Robert Mueller, who has been busy hiring lawyers with ties to Democrats). But there are problems with that answer. First of all, the FBI has found that four of seven memos Comey took with him after he left the Bureau contained classified information. Secondly, under the FBI’s own rules, no employee can release any classified information or information pertaining to ongoing sensitive operations without written permission from a higher-up. And finally, the Bureau considers all records created during the course of official business as belonging to the government, The National Sentinel reported. Comey has since turned over his memos to Mueller, though The Hill noted that congressional investigators had already begun examining whether the former director broke FBI rules in the creation, storage and sharing of his memos. Now, with the addition of classified information thrown into the mix, that gives investigators a whole new avenue to sort out. Either our national security statutes apply equally to all Americans, or should not apply to anyone. This is something the Trump administration will have to correct.